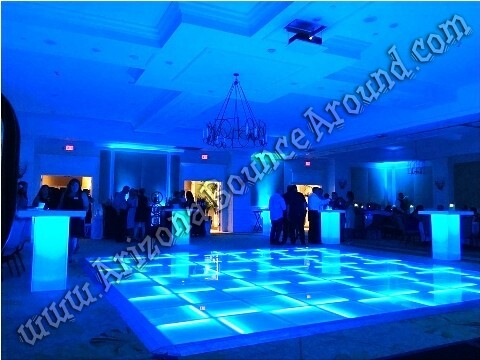 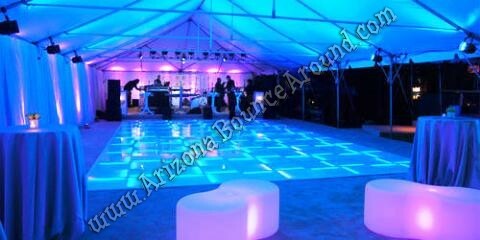 If you're looking to have a LED dance floor also known as a light up dance floor at your wedding or special event then you just found the right place. 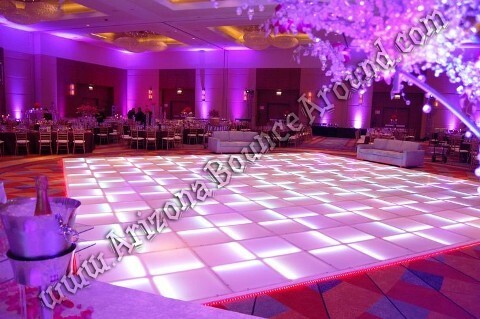 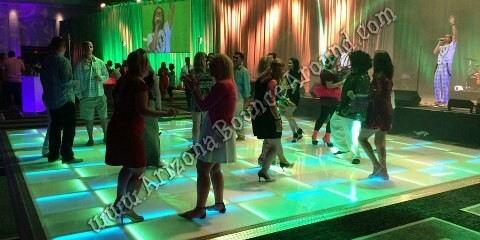 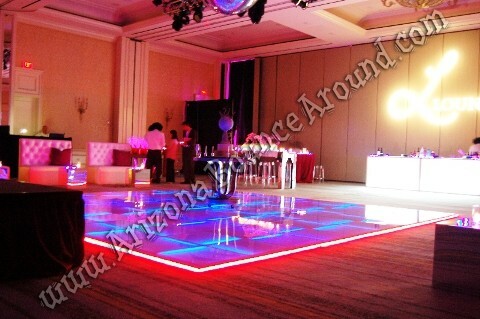 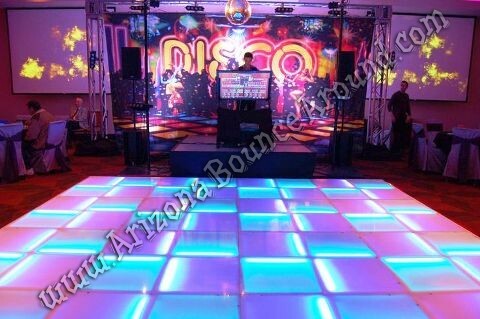 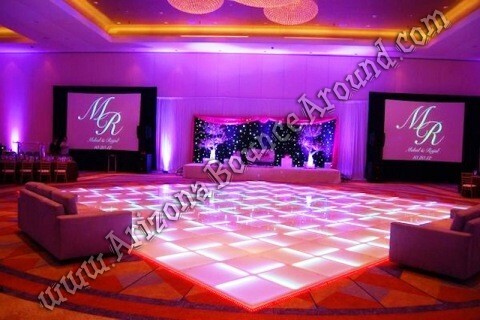 Our LED dance floors are thin like a regular wood dance floor and this is really an important feature because most LED dance floors are 6 to 8 inches thick so you have to step up to get on. 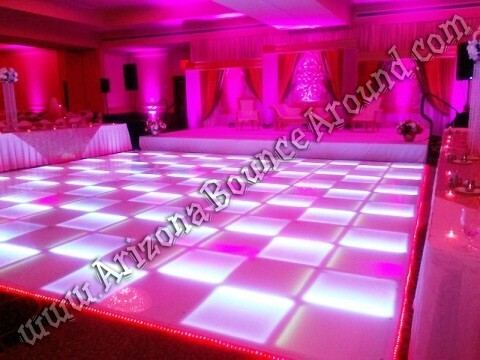 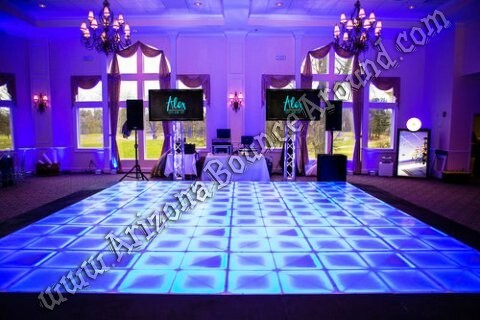 Our light up dance floors also feature an automatic mode that goes to the beat of the music without human involvement so it will always be on point and make your special event look amazing. 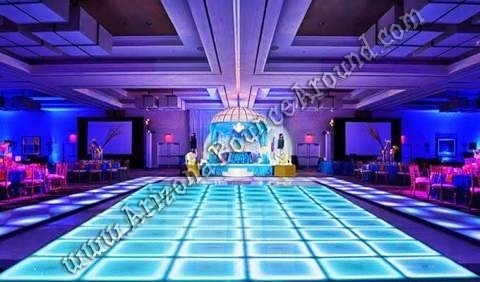 When the dance floor is off its a shiny white floor so you can surprise everyone when the lights come on or let it run as a centerpiece as guests arrive.